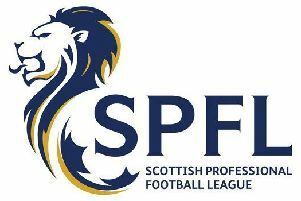 Clyde were unable to make their extra man count as League 2 leaders Forfar Athletic held out for a draw at Broadwood on Saturday. It was Clyde’s first match since the appointment of their new, interim, managerial team of JP McGovern and Peter MacDonald. And a first league win since November looked on the cards when Forfar had to play the closing stages with 10 men after keeper Grant Adam was sent off. But the visitors, with midfielder Martin Fotheringham in goals because all three subs had been used, held on for a 2-2 draw. The visitors started the brighter, with James Lister in particular causing a number of problems for Clyde’s backline. He found himself clean through on goal in the 21st minute; John Gibson did well however, coming to the rescue and deflecting the shot away from danger with his chest. Gibson could do nothing to prevent Forfar’s opening goal though, Danny Denholm producing an unstoppable rocket of a shot on 24 minutes. Things went from bad to worse for Clyde when Ryan Finnie was stretchered off on the half hour mark. The midfielder looked to be in a lot of pain, and was replaced by Matthew Flynn. Flynn almost made an immediate impact- taking advantage of Grant Adam’s poor attempt to punch the ball clear. His looping header looked goalbound were it not for Michael Travis’ last gasp clearance. But it was the second half when Clyde really came into their own. They were awarded a penalty on 52 minutes when Forfar captain Stuart Malcolm was adjudged to have handled the ball in the area. And MacDonald stepped up and sent the keeper the wrong way, calmly slotting the ball into the left hand side of the net. The Bully Wee grabbed their second of the game in the 60th minute when Scott McLaughlin’s curling free kick found David Gormley, who nodded the ball straight into the back of the net. Clyde’s lead lasted until the 72nd minute, when James Lister collected a long ball before poking it past Gibson. There was controversy in the aftermath of the goal when Grant Adam was shown a straight red card for making an offensive gesture towards the home support. Forfar had used all of their substitutes, so Fotheringham was called on to replace Adam. Clyde sensed an opportunity to grab a late winner, but the closest they came was in the 86th minute when Ross Perry headed an effort just wide of the post.